Samuel Maykapar was Russian romantic composer, pianist, professor of music at the St. Petersburg Conservatory, author of outstanding piano practicing pieces that became international grand classics. Samuel Maykapar was born on December 18, 1867 in the city of Kherson, but his family moved to Taganrog. 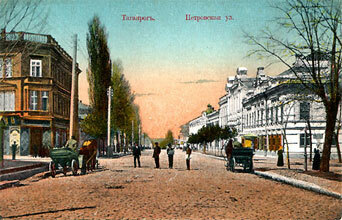 Maykapar spent his childhood in the city of Taganrog and in 1885 he graduated from the Boys Gymnasium where studied Anton Chekhov. He also took private music lessons from Gaetano Molla, director of the Italian Opera in Taganrog. In 1885, he enrolled into St. Petersburg Conservatory and at the same time studied law at Saint Petersburg University that he graduated in 1891. Maykapar received the Conservatory's diploma in 1893 and improved his pianist skills under direction of Theodor Leshetitsky until 1898, giving numerous concerts in Berlin, Leipzig, Saint Petersburg, Moscow, Taganrog and other cities. Between 1898 and 1901, he gave concerts with Leopold Auer in Saint Petersburg and Ivan Grzhimali in Moscow. In 1901, he founded his music school in the city of Tver. In 1903-1910, he lived in Moscow and toured Germany giving concerts. Samuel Maykapar was an active participant and the Secretary of Sergei Taneyev's Scientific-Musical Circle in Moscow. In 1915 he became professor of music at the St. Petersburg Conservatory. In 1927, seven nights in a row the composer performed 32 Beethoven sonatas in the Small Hall of the Conservatory within the framework of Beethoven Centennial Celebrations. He wrote over three hundred music pieces and several scientific works. Samuel Maykapar died in Leningrad on May 8, 1938. In his last book Years of Studies he looks back at childhood and years of studies in Taganrog.